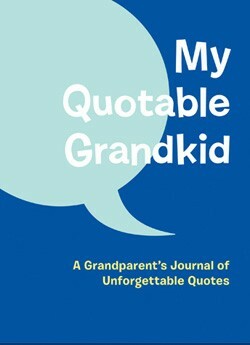 Following the über popular My Quotable Kid, this journal is filled with roomy pages for grandparents to record the hilarious and unexpectedly wise things their grandchildren say. With a photo window for personalizing the journal, plus a ribbon marker, this is the perfect gift for cherishing family memories. This is a must have for every family visit.